With the innovation of the Customer Success Platform, Salesforce transforms the way departments, agencies, and their community of contractors meet the unique demands of today’s constituent and more effectively deliver on their mission. Salesforce's FedRAMP-authorized Government Cloud - the world’s #1 enterprise cloud, built for government – gives stakeholders the tools they need to connect data, process, and people while also reducing the risk, cost, and complexity of traditional IT. The Salesforce Government Cloud enables organizations to digitally transform the business of government rapidly and revolutionize the citizen experience, from waiting in lines - to online, while meeting the regulatory and compliance needs of the U.S. Government. Carahsoft and Salesforce have teamed together to provide Salesforce products and services to the government for over 10 years. As Salesforce's Master Value Added Reseller and Aggregator in the US Public Sector, Carahsoft supports an extensive ecosystem of vendor and consulting partners committed to helping government agencies transform their IT infrastructure to better support and deliver on the mission by using a secure, cloud-based platform. Carahsoft identifies opportunities within the US Public Sector and promotes those opportunities during all phases of the sales and implementation cycles. With thousands of customers and an ecosystem that includes over 2.5 million developers as well as hundreds of certified partners, Salesforce demonstrates how trusted, agile, Cloud applications delivered on a user-friendly development platform improve government service delivery and empower modern missions. Trusted Salesforce is built on the value of trust. They are committed to a culture with transparency as the foundation and have continually earned the industry’s top compliance standards, including FedRAMP, DoD IL2/4, SOC, HIPPA, and more. 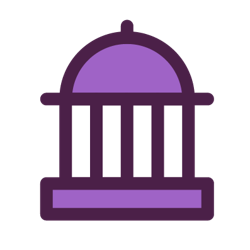 Scalable The Salesforce Platform for Government enables your organization to build, integrate, and deploy any type of app, using clicks not code. Innovative The Salesforce Customer Success Platform helps companies connect to customers in whole new ways with metadata-driven architecture, annual updates, customer-inspired enhancements and compatibility with mobile, social, and AI. The Salesforce Case Management solution allows you to view all case data and related interactions in a searchable, secure platform. It supports the full case management lifecycle by integrating critical data from multiple systems into a single location. With the Salesforce Contact Center solution, provide support anytime and anywhere, whether via phone, live chat, or social and mobile channels. Bring together all of your support channels, so agents can deliver service seamlessly. Reach your constituents with Salesforce Outreach and Engagement, the world’s #1 marketing platform. Use data from any source to build smarter email journeys— from basic marketing campaigns to sophisticated one-to-one messages. Drive valuable engagement at the right moment, just the way your audience prefers. Salesforce CRM, a Relationship Management solution, provides Intelligent profile settings and creates a 360-degree view of every contact and interaction, helping staff deliver relevant communications and premium service in a timely manner. Relationship Management helps departments and agencies discover, track, and nurture relationships relating to mission critical activities for employees, customers, and partners. Using Salesforce Self-service and Communities, provide a centralized environment where customers can help each other, access your knowledge base, log service requests, and get help from an agent when needed. The Salesforce Platform for Government enables your organization to build, integrate, and deploy any type of app, for any need using clicks not code. You can create personal productivity apps — email, calendar, and spreadsheets — or full-blown enterprise apps for policy and program, project management, citizen service, budget and finance, and much more. Salesforce's Advanced Analytics solution allows your organization to quickly query and explore data across CRM, ERP, Excel, as well as on social and mobile applications to get exactly the information you need without being stuck in a prebuilt report. With the visibility that predictive analytics provides and a 38% reduction in analysis time, agents have the ability to make decisions on what might happen, take action immediately, and provide recommendations on how to improve outcomes. Federal leaders have an incredible opportunity to reinvent the role of technology — one that requires an examination of the current face of digital government. By aligning common system requirements with cloud solutions such as the software-as-a-service (SaaS) model, agencies can bypass the installation of applications on in-house computers or in agency data centers, allowing agencies to better serve their constituents and deliver on the mission. Salesforce’s secure, flexible, enterprise platform supports every function from service, marketing, and collaboration to communities, analytics, and business intelligence — not to mention application development without the cost and complexity of legacy systems. Hundreds of Federal agencies are already using Salesforce to improve capabilties across Talent Development, Contact Center, and Digital Engagement, among many others. State and local government have already begun to recognize the benefits of cloud technology including faster deployment and upgrades, more efficient processing of large volumes of data, and greater information sharing. And, of course, cloud systems save money. By providing access to shared, configurable resources, cloud allows state and local government to eliminate redundancy and consolidate expensive, inefficient data centers. With the software-as-a-service (SaaS) cloud model, governments are able to better serve their citizens by providing the personalized, relevant information that is not only desired, but expected. The Salesforce Customer Success Platform allows government to connect and serve all functions across service, marketing, collaboration and communities, analytics and business intelligence, and application development. By bringing the data together, gain a 360-degree view of funding, resources, results, and service-level agreements, making data-driven decisions easier. All of your Salesforce AppExchange products for government in one place. AppExchange apps are customized for Salesforce and help organizations increase productivity, eliminate risk and save time. We have partnered with top developers, including members of Salesforce’s ISV Partner Program, to bring you quality software with the features you’re looking for. Carahsoft is always working to partner with new independent software vendors to continue providing Lightning Ready and Salesforce1 Mobile compatible apps for your business. Browse our current selection of preferred apps to address all your needs including: Document Generation, Application Lifecycle Management, Workforce Development, Virtual Scanning, and much more. In order to foster the success of joint customers, Salesforce has created the Fullforce Initiative to promote industry and cross-industry solutions. These preconfigured solutions have been developed by leading consulting firms leveraging Salesforce technology and have the full power and support of Salesforce. The partnership facilitates innovative cloud-based solutions tailored for the public sector. Fullforce Solutions are brought to you by combining partner industry expertise, proven success at anchor customer, and the Salesforce customer success platform. Carahsoft is here to help you every step of the way in finding the perfect solutions to maximize efficiency within your agency. These handpicked partners include Fullforce Masters and Lightening Accredited firms that will make your implementation of Salesforce seamless. Proper training of the executive staff, managers, end users and technical staff is essential for successful adoption of Salesforce and related systems. Stony Point offers complete training programs and learning paths for all these groups. 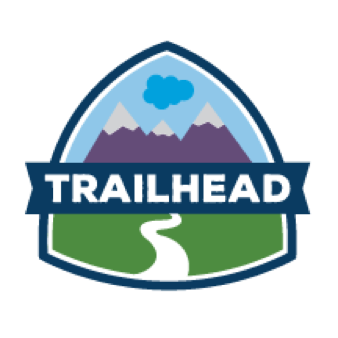 The core catalog of instructor-led, hands-on training includes Salesforce Administrator and Developer training as well as end user training on topics such as Analytics (Reports and Dashboards). Stony Point can deliver any of these classes virtually or on-site or can develop custom training for any specific need. Multiple contracts through six service provider awardees and Carahsoft. The Citizens are Talking. Are You Listening? In a rural state where agency employees are isolated in far flung locales, a digital transformation meant not just efficiency, but "a cultural revolution." There’s a growing pressure on government agencies to modernize IT in order to more effectively fulfill their missions. The first step is the most difficult – to let go of entrenched strategies. TAPforce, built on the Salesforce Platform in partnership with Publicis.Sapient, will allow customers and vendors to manage their public transit accounts easily from one digital hub. Carahsoft Hosts Sixth Annual Citizen Engagement Seminar June 16, 2016, in Washington D.C.